If you have missing teeth, there are several options you may consider for restoring your smile, but dental implants offer benefits that other solutions can’t match. Dental bridges and dentures have their place, but compared to dental implants they are inconvenient, not as functional and more uncomfortable. They can even impact your overall health and nutrition by preventing you from chewing properly. Implants, however, are a more functional restoration that match the quality of your natural teeth and offer a great aesthetic solution to your missing teeth as well. 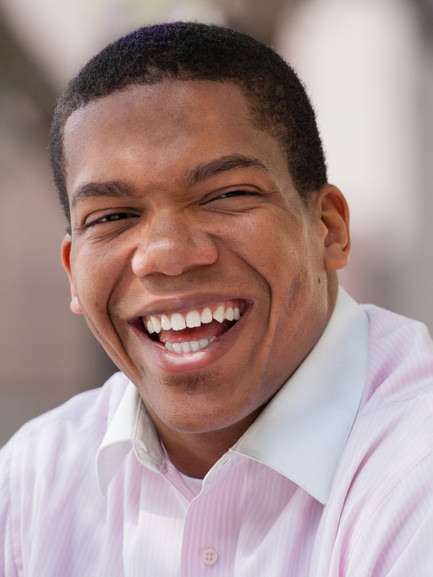 There’s no solution to missing teeth more advantageous than placing dental implants. Since dental implants offer similar chewing power to your natural teeth, you’ll be able to eat as you normally would, with less discomfort and inconvenience. They’re a more comfortable and stable alternative to fixed bridges or removable dentures, which greatly impact your natural chewing power and can limit your diet. Many patients also tell us that taking out their dentures at night is inconvenient and embarrassing, or that their dentures are not stable and cause irritation. With the permanent and secure properties of dental implants, you won’t have those concerns. With removable dentures and fixed bridges, you may have to pay for replacements every 7-15 years, while dental implants can last up to 25 years with proper hygiene. Since placing a dental implant involves a titanium post being fused directly into your jaw bone, you gain the advantage of protecting that bone from degeneration. This is because stimulation from chewing is transferred to the bone through the root of the implant, just as this occurs with natural teeth, and that is required to sustain the bone’s health and strength. With bridges or dentures there is no root in place and the bone will therefore deteriorate over time. Dental implants look and feel completely natural and will fit seamlessly within your smile. Others won’t be able to tell the difference between your natural teeth and implanted teeth, and you may not be able to tell either! Implants are also cared for the same as your natural teeth, with brushing, flossing and regular dental visits. Dental bridges require the adjacent teeth to be used as anchor points, even if those teeth are healthy. Although dental implant surgery may seem invasive upfront, they ultimately support the conservation of your oral health by retaining the structure and health of your other teeth. The implant fixture – this is a small titanium post that mimics your natural tooth’s root. It’s placed under the surface of your gums and is permanently fused to your jaw in a process called osseointegration. The abutment – this connecting piece anchors the artificial tooth (crown) to the titanium implant fixture. The crown – the crown is a “prosthetic tooth” made of porcelain that is attached to the abutment. 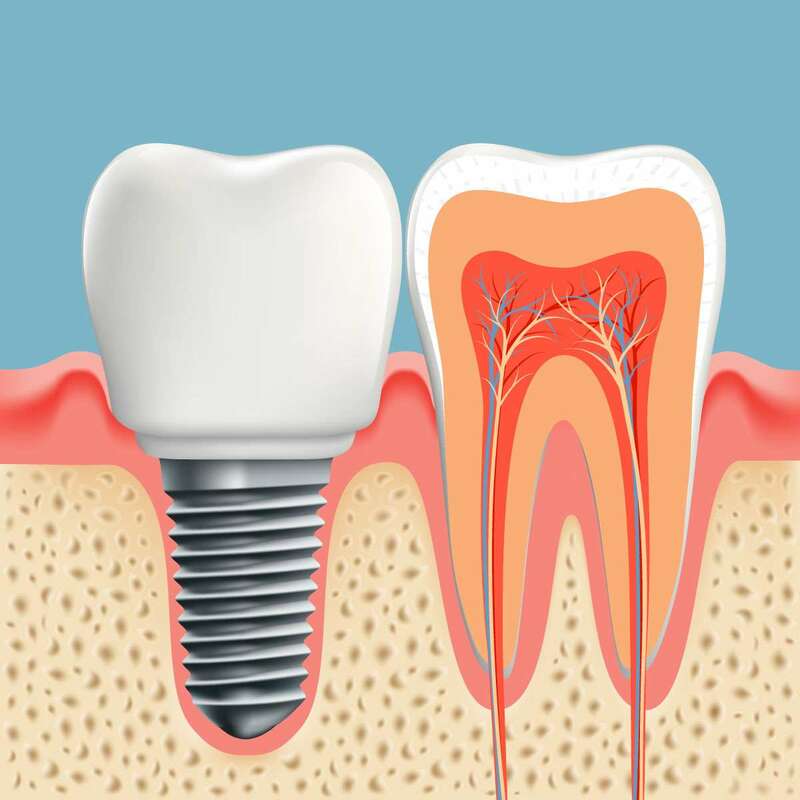 This is the visible portion of your implant that is designed to look and feel like your natural tooth. Once we’ve completed a diagnostic examination, we will take time to listen to your concerns, discuss your options and create a treatment plan with you. If dental implants are the most suitable treatment, you’ll begin the two-part process. If you are a good candidate and implants are the chosen treatment, the placing of the titanium implant fixture is your first surgical appointment. This can be done with local anaesthetics and sedation dentistry if you prefer, and your body may require several months for the osseointegration (biological fusing) to complete between the implant and your jaw bone. At your second appointment the abutment will be attached and we’ll construct a new crown to replace your missing tooth. All appointments throughout the process will occur at our clinic. Every patient’s situation will be different, but to be a good candidate for this procedure you should be in good general and oral health and your jaw will require a minimum amount of remaining healthy bone in the area where the implant will be placed. If not, we may discuss the option of bone grafting with you. Dental implants can bring renewed comfort and self-confidence if you feel that your missing teeth have changed the way you view yourself, or if you’re looking for a better alternative to your existing restoration. Your suitability for dental implants can be discussed with us in detail at your next dental visit, or at a complimentary consultation with our dentists, and we will be happy to answer all of your questions. Call us at 403-252-7608 or book your appointment online to take the first step towards a new smile!